Eight duplicated (roneographed) issues of its magazine were produced by the Workers' Fight group, forerunner of AWL, in 1967-8, before it merged with IS (forerunner of the SWP) in late 1968, and reorganised as the Trotskyist Tendency within IS/SWP, and one issue of Workers' Fight was produced by the Trotskyist Tendency in 1969. 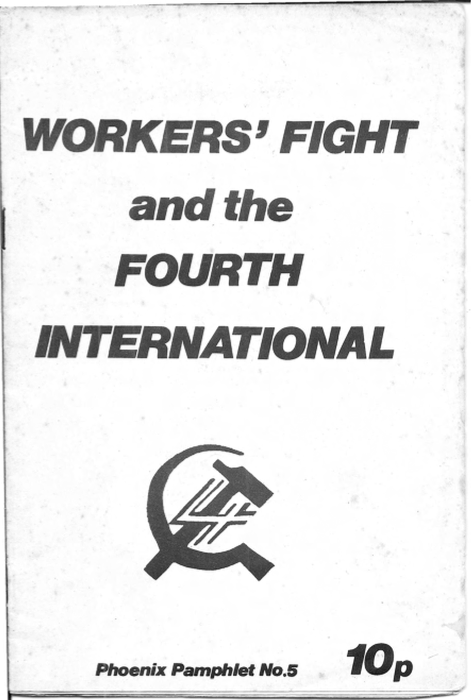 This pamphlet produced in 1973 reports on the Workers' Fight special conference held to debate the question of the Fourth International. Click on image below to view or download. 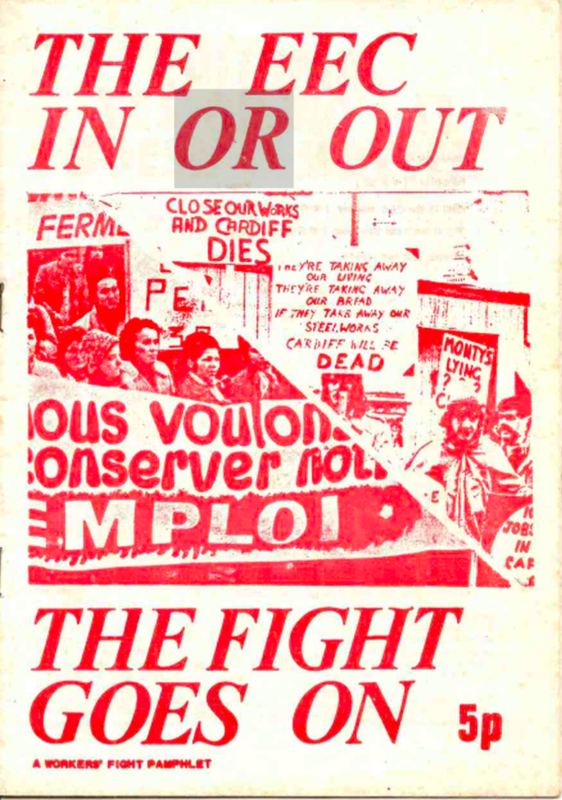 This 1975 Workers' Fight pamphlet debates the implications of joining the common market. Click on image to view or download.